The Tea Party activists, who claim they are anti-establishment, are actually very establishment, after all. So establishment that they’ve embraced the same anti-Semitic, Israel-hating, Islamo-panderers that the conservative movement has embraced. No, I’m not talking about Sarah Palin telling FOX News’ Chris Wallace that she takes the advice of Hitler-fan Pat Buchanan’s syndicated columns (she did say that). 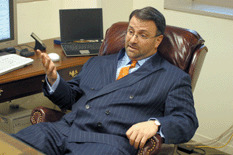 Jack Abramoff and Grover Norquist: 1/2 of the Islamo-Sleazebag-a-Palooza Goes to Prison. The Other Half is in the Tea Party. I’m talking about Grover Norquist, whose Americans for Tax Reform is a major sponsor of the Tea Party launch event, Tea Party Patriots’ manifesto, at today’s start of CPAC (the Conservative Political Action Conference). Norquist bragged to Politico that he is behind the tea party activists’ presence at CPAC. That’s braggadocio the tea party people would run away from if they truly abhor anti-Semitism, anti-Israel activism, and Muslim extremism. But they aren’t running the other way. They are embracing Norquist. And Norquist isn’t just embraced by Tea Partiers in Washington or in town for CPAC, but by key Tea Party leaders, organizers, and activists in every state, whom he’s traveled to meet and who also embrace him and ask him for guidance. Many in the know refer to his organization as “Arabs for Tax Reform,” for good reason. Even Norquist’s ATR business cards are bilingual, with everything in Arabic on the flip side (or perhaps the main, with English on the flip side). Norquist, a founder and board member of the Islamic Institute (which operated out of his offices), was on the take from Gulf state emirates and laundered money for his buddy Jack Abramoff. At Islamic Institute (which operated out of Abramoff’s Americans for Tax Reform offices), he employed Khalid Saffuri, an admitted funder of “the martyrs”–he adopted HAMAS homicide bombers’ families and funded them. And Norquist and Islamic Institute accepted cash from several “charities” which laundered money for the Saudi government to Al-Qaeda. Norquist got a top Bush White House job for Suhail Khan, whose father, Mahboob Khan, twice brought Al-Qaeda biggie Ayman Al-Zawahiri into the country to raise money for Al-Qaeda at the elder Khan’s mosque. The younger Khan proceeded to invite extremist Muslim clerics, such as one who described Jews as a “dirty little tribe,” to hang out with President Bush. Norquist got the spineless Heritage Foundation (and its Islamic lobbyist chief, Edwin Feulner, whom he took on a trip to meet the emir of Qatar) and the Town Hall site, which Heritage then owned, to remove my columns, because he was upset that I wrote about Republican Congressman Darrell Issa’s embrace of Hezbollah, terrorist state Syria, and anti-profiling laws for Arabs and Muslims. Norquist, a National Rifle Association board member, who got the NRA to revoke a written invitation to me to speak at its annual national convention because he was upset that I wrote about his close friend, Sami Al-Arian’s founding, involvement in, and terrorist fundraising for Islamic Jihad (a bombing he funded murdered New Jersey college student, Alisa Flatow, a friend of my sister’s). The NRA revoked the dis-invitation only when I was about to discuss their behavior on the Howard Stern syndicated radio show. Norquist said he’s worked to bring on board tea party activists and hasn’t faced any backlash from those who see him as part of the establishment or who hold against him his involvement in the Jack Abramoff scandal. 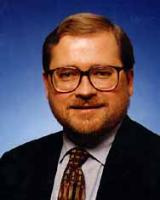 Yup, Grover Norquist one of the not-so-know, same-old-establishment faces of the Tea Party movement. The next time Tea Party activists say they aren’t the Republican Party and that they’re a grass roots movement, ask them why they embrace criminal fat-cat K Street lobbyists like Grover Norquist as one of their key people. Many readers have asked why I haven’t promoted the Tea Party activists or their events on my site. This is one of the major reasons why. I don’t support people who support anti-Semites and Israel-haters, not to mention out-and-out criminals like Norquist, who lucked out and escaped prosecutoin. Until and unless the Tea Party movement activists strongly and publicly denounce him and sever any ties to him, I want nothing to do with them. With their Norquist alliance, the Tea Party activists have demonstrated in spades that they are just the same old Republican establishment. A lot of smoke and mirrors. Just in case you’re wondering, CPAC organizer David Keene has appeared at Islamic events, opposing the war on terror, and, in fact, the only official CPAC event on Islamic terrorism at CPAC, also opposes the war on terror. Then, there is the CPAC self-promotion-fest put on by Scamela Geller and Robert Spencer, which isn’t really about jihad. It’s about promoting her shrieking, and his bizarre lap-dogging of her shrieking. When it comes to jihad, she’s already displayed her true colors to us. Gee, I wonder how much of Geller’s and her then-hubby’s car loan fraud business (using Muslim straw buyers and resulting in the successful murder of the one informant who was talking to police–a Black car salesman) is going to pay for this event. Hello! eceeeca interesting eceeeca site! This is weird. Aren’t Nordquist and Abramoff Jewish? Sorry. Abramoff is very Jewish. He even wore a yamaka and spoke Yiddish in between English. He invested tons of money to Israel and spoke outwardly for the cause. And now he is a whore? Let’s not forget what he did to the Asians and native americans. What was that island in Asia? You really make it appear so easy together with your presentation however I in finding this topic to be actually something that I think I’d never understand. It sort of feels too complex and very vast for me. I’m having a look forward on your subsequent publish, I will attempt to get the grasp of it!